Biodynamic gardening means taking a holistic approach to the garden and being aware of the interrelatedness of the soil, plants and vegetables. 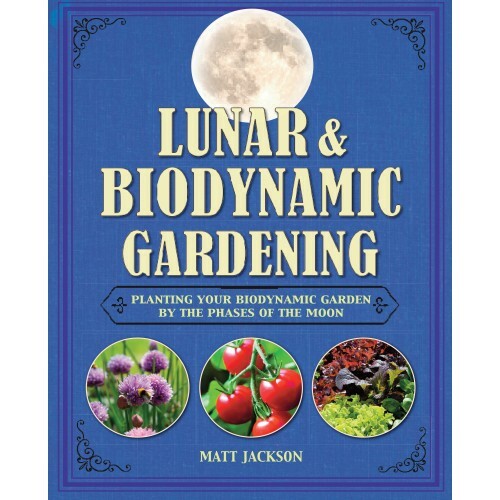 The principles of biodynamics also bring a spiritual aspect to the meditative art of gardening, emphasizing the influence of invisible energies, such as the lunar cycles, on the garden. Biodynamic practices are used increasingly often in agriculture and many people are interested in adopting this holistic, natural approach in their own gardens but are unsure how to get started. 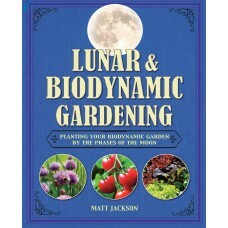 In 'Lunar and Biodynamic Gardening', Matthew Jackson gives an easy-to-follow guide to getting started with biodynamics. You will discover how to take advantage of the natural rhythms of the moon, by planning your gardening activities to coincide with the most favorable conditions in the sky. For example, during a waxing moon, the earth is exhaling, and it is best to sow non-root plants. During a waning moon, the earth is inhaling, and biodynamic gardeners should water and fertilize their crops. Matthew also guides you through making biodynamic preparations to keep your soil “alive”, understanding your garden or allotment as part of a bigger web of life and demonstrates the importance of working with nature rather than trying to dominate it. With step-by-step illustrations for 25 projects, explanatory diagrams, and stunning color photographs, itʼs easy to see how biodynamic techniques can work for any gardener.